With this change, when you add an alternate domain name using the AWS Management Console or the CloudFront API, you will now need to attach a certificate to the distribution to confirm that you have authorized rights to use the alternate domain name. The certificate must be valid and come from a publicly trusted Certificate Authority like AWS Certificate Manager which provides public SSL/TLS certificates for free. This entry was posted in AWS, CDN, Cloud, Computer, Murmuring, Network, Security, Service and tagged acm, address, alternate, amazon, aws, cdn, certificate, cloud, cloudfront, ddos, distribution, domain, dos, ip, ipv4, manager, name, security, service, ssl, tls on April 11, 2019 by Gea-Suan Lin. This entry was posted in Computer, DNS, Murmuring, Network, Privacy and tagged apple, domain, pr, privacy, public, relation on March 6, 2019 by Gea-Suan Lin. This entry was posted in Computer, DNS, Murmuring, Network, Service and tagged cloudflare, cost, dns, domain, pricing, registrar on February 24, 2019 by Gea-Suan Lin. Hybrid Cloud is available today in US East (N. Virginia), US East (Ohio), US West (Oregon), Europe (Ireland), Asia Pacific (Sydney), Asia Pacific (Tokyo) and Asia Pacific (Singapore), with other commercial regions to follow. 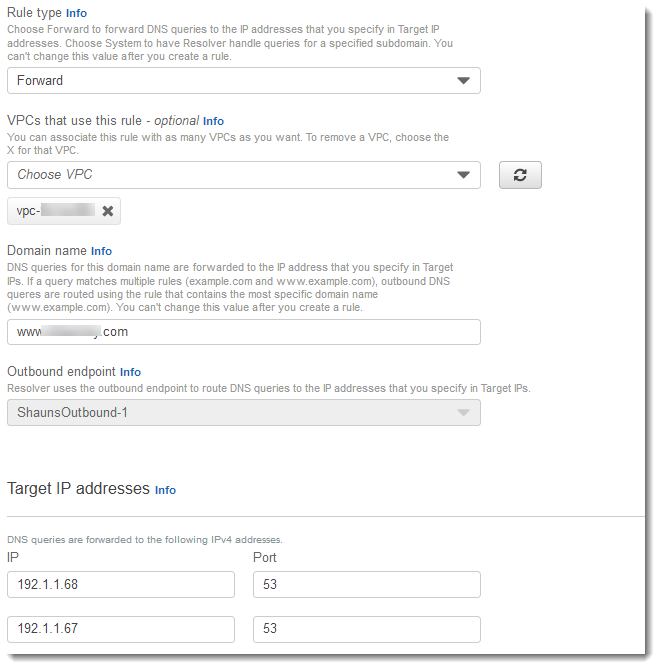 Route 53 Resolver remains free for DNS queries served within your VPC. Resolver Endpoints use Elastic Network Interfaces (ENIs) costing $0.125 per hour. DNS queries that are resolved by a Conditional Forwarding Rule or a Resolver Endpoint cost $0.40 per million queries up to the first billion and $0.20 per million after that. This entry was posted in AWS, Cloud, Computer, DNS, Murmuring, Network, Service and tagged amazon, aws, center, cloud, data, dhcp, dns, domain, ec2, hybrid, idc, instance, ip, name, network, proxy, range, resolver, server, service, vpc on November 20, 2018 by Gea-Suan Lin. This entry was posted in CDN, Computer, DNS, Murmuring, Network, Security, Service and tagged cloudflare, dns, domain, name, registrar on September 28, 2018 by Gea-Suan Lin. This entry was posted in Computer, DNS, Murmuring, Network, Service, Software and tagged conf, dhclient, dhcp, dns, domain, name, network, server, service, supersede, ticket, trac, vps, vultr on September 24, 2018 by Gea-Suan Lin. I actually thought Chrome was malfunctioning. This decision seems totally arbitrary. Was there any research done to justify this decision, or was it the whimsy of a PM who thought it would be a cool UX thing? This entry was posted in Browser, Computer, GoogleChrome, Murmuring, Network, Software, WWW and tagged chrome, dns, domain, google, hostname, security, ui, ux on September 7, 2018 by Gea-Suan Lin. This entry was posted in Computer, DNS, Murmuring, Network, Privacy, Security, Software and tagged certificate, dns, domain, golang, name, privacy, security, ssl, subfinder, tls, transparency on July 25, 2018 by Gea-Suan Lin. 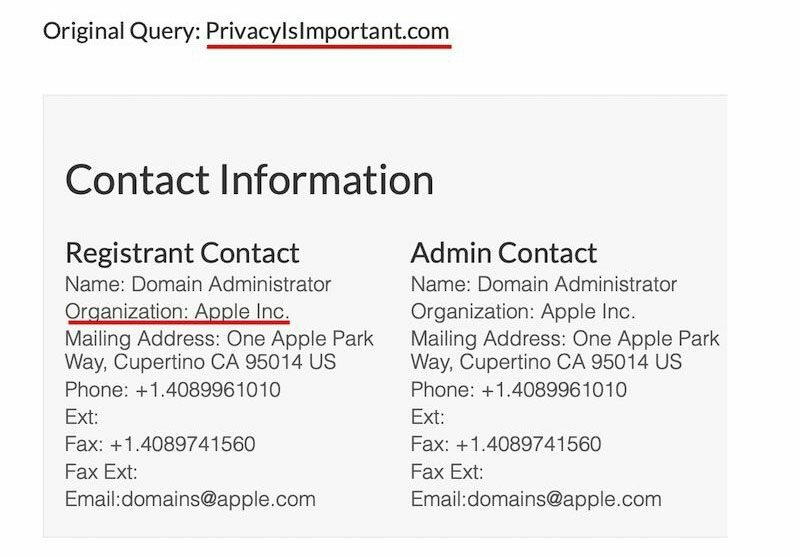 This entry was posted in Computer, DNS, Murmuring, Network, Privacy, Security, Service, WWW and tagged apple, cloudflare, dns, domain, draft, fastly, hostname, ietf, indication, key, name, privacy, public, rfc, security, server, service, sni, ssl, tls on July 4, 2018 by Gea-Suan Lin. A key benefit of the .app domain is that security is built in—for you and your users. The big difference is that HTTPS is required to connect to all .app websites, helping protect against ad malware and tracking injection by ISPs, in addition to safeguarding against spying on open WiFi networks. Because .app will be the first TLD with enforced security made available for general registration, it’s helping move the web to an HTTPS-everywhere future in a big way. This entry was posted in Computer, DNS, Murmuring, Network, Privacy, Security, Service and tagged app, dns, domain, google, hsts, preload, privacy, security, tld on May 2, 2018 by Gea-Suan Lin.